How are you at keeping track of your keys? I am a relatively organized person, but my keys seems to have a life and mind of their own. While I have tried to keep then in one place, or clip them to my purse with a key fob, something always happens. Thank goodness my youngest son has never made a video of me searching for my keys. He could have made quite the series of me flipping out while looking for my keys before school. TechyDad almost made a video of this the other day and I would have deserved it. Why? Well, I had no reason for losing my keys. I should have had them with my nifty new tech device. Moments after I lost my keys, I grabbed the Tile that I was sent and set it up. The app was easy to follow. With the Bluetooth tracker, it quickly found my keys when I tested things out. Another perk, you can also use the Tile to ring your smartphone that may be hiding. Even if it’s on silent mode, it will ring your phone. 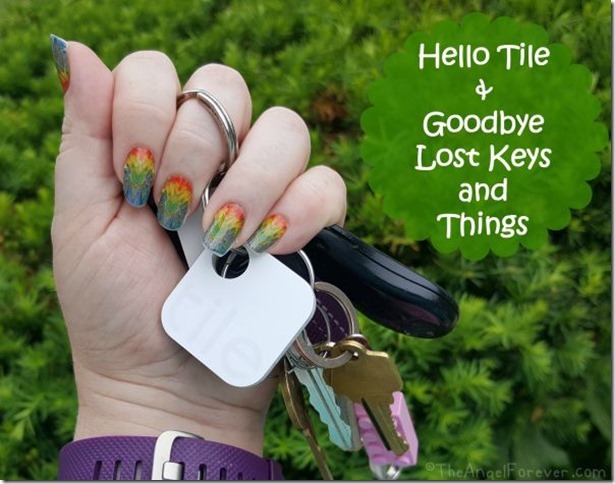 TechyDad’s Keys – Needed since I often take his car and lose the keys once inside the house. Remote Controls – Our couch likes to eat them and now we will be able to call it via the Tile app to locate for changing the channel. Favorite Stuffed Friends – We will make a Tile necklace for favorite friends that go on the road. NHL’s Retainer Case – This expensive piece of orthodontics needs to make sure it stays put and doesn’t wander. JSL’s Flute Case – Musical instruments are expensive and it’s nice to know where it may be since it can get lost in the shuffle between school and home. Socks – Just kidding! Of course, this would be useful to combat the socks that go into the washer and never come out. Remember Tile is water resistant too. We will continue to explore more ways to use Tile this summer. Since Tile is water resistant it will be great at the pool, lake, and camp for the kids. The possibilities are endless for use at home, school (teachers and students), going off to college, while traveling, and so much more. Where would you use a Tile? Would you be like me and place it on your keys? 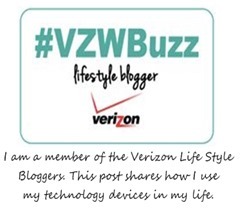 Disclosure: As a member of the Verizon Lifestyle Bloggers, I receive cool goodies like the Samsung Galaxy Note 5 and Tile Bluetooth Tracker to test out and share ways that I use them in my life. I am a long time Verizon customer, and all opinions are my own.